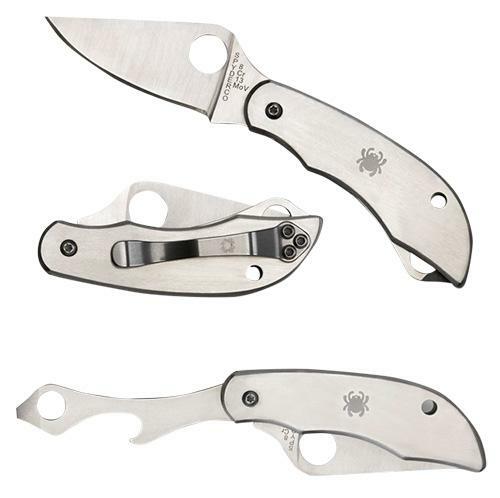 The Spyderco ClipiTool is a special breed of tool that combines a high-performance cutting edge with the added convenience and functionality of other tools-all in a pocket-friendly, clip-carried package that keeps them instantly accessible. The ClipiTool features precision all-stainless-steel construction with superior fit, finish, and attention to detail. It features a non-locking primary blade with broad, full-flat-ground profile for superior cutting performance. A forefinger choil (finger groove) at the base of the blade protects against accidental closure during use and ensures a secure, easily controlled grip. The ClipiTool Bottle Opener and Screwdriver features a convenient folding bottle opener that also doubles as a flat-blade screwdriver. 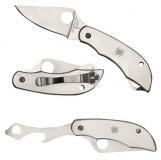 Both it and the tool's knife blade include Spyderco s Trademark Round Hole for easy two-handed opening without fear of breaking a fingernail.